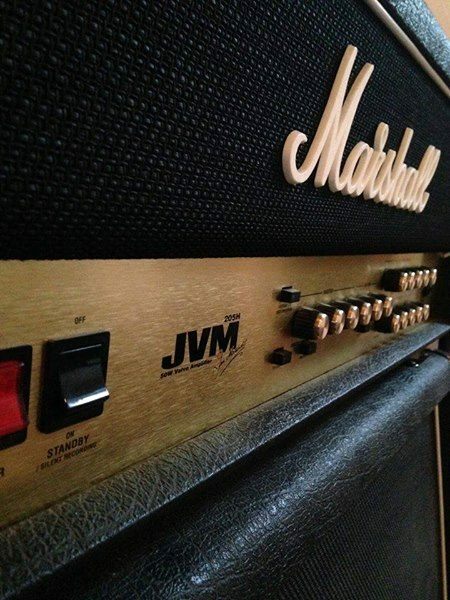 JVM205H, Tube Guitar Amp Head from Marshall in the JVM2 series. 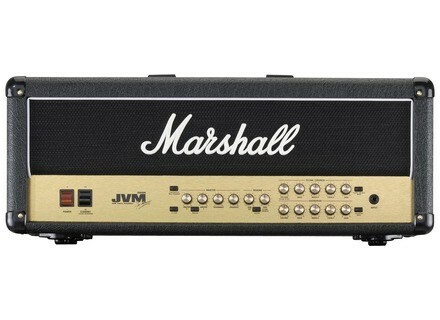 This is the same amp as the JVM 210h but just with half the power rating. This one will have two less power tubes and comes in at a rating of 50 watts. To me this amp is better than the four channel. The four channel is a bit of an overfill for me since there is a lot of replication in the channels. The two channels is the way to go with this series. Still though the amps sounds cold out of the box and you will be inclined to get a new set of tubes and biased for more warmth. The only problem with this amp is the cold stiff feeling right out of the box. This is typical with Marshall's in the new box. They need a bit of setup to them to get them to sound warm and more usable. This amp takes off where the JCM2000 left off. I much more prefer the JCM2000 but this amp isn't too bad. It has more flexibility with midi and the effects loop controls. Plus the voicing in each channel is a nice touch to dial in exactly what you want. I like the red channel on the gain channel. It is pretty heavy and thick sounding. A bit noisy with this amp compared to the JCM2000 which had some noise but not nearly like this amp. It is due to the amount of gain on tap of this one compared to the 2000. This is a fun amp to play. Not too much to get confused with and not too much to get overwhelming that would distract you from playing the amp. 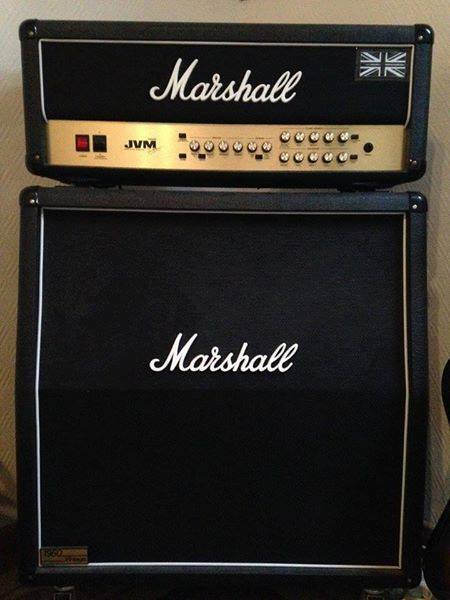 At new these amps come in at around $1400 which is a bit more than the Marshall JCM2000. I would recommend this to anyone who wants to get a good sounding Marshall amp but doesn't want to get a Plexi and a JCM 800 or JCM2000. You can get almost as close as you would get to those tones but in just one amp. Head all tube 50 watts with two EL34 then to amplify and five ECC83 preamp for. Ultra easy to use and no redundancy as the channel model 410 with too many possibilities to not too many buttons and too powerful. To top it off, your settings are saved even without MIDI just provided with the pedals. If you want MIDI there, it will buy a pedal. Effects loop with a switch on / off front panel and a volume control input, an insert point on the amp bypassing the preamp and an amp simulator XLR output for a record deal or a console ! I start right away with the negative as it gets rid of it! There are two digital reverbs a per channel and are so-so, those springs were not terrible, but there ... Then switch on the front are of poor quality below the level of quality Marshall. A force to use one day I'll take one in the face! Fortunately the pedals is very caustaud and we do everything with. Button to finish the "resonance" which must benefit the serious and really there to do good because you have to have sharp ears to hear the action. That's it for the sides is more sound and wide range of applications. Use of this head is very simple, the manual is also in French. 3 modes per channel, green, yellow and red or 6 sounds preamp (12 on 4-channel model of delusion!) 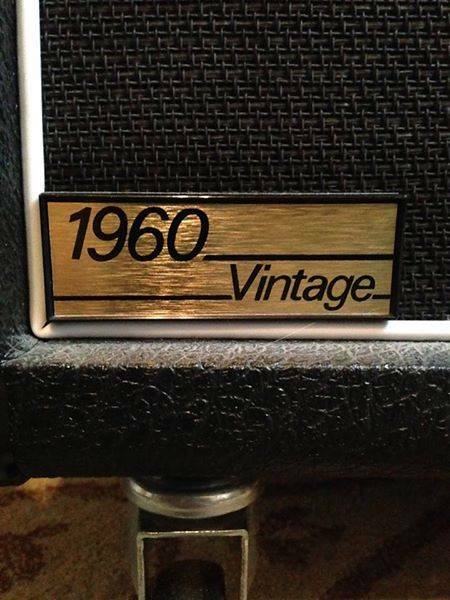 You can still play with this amp because in addition it sounds great. A green channel mode is very clear and beautiful crystal on a Start and already a little blues on the microphones of a serious les paul. Is in orange crunch, blues country blues solos. The channel is still the least successful for me. Fashion red is supposed to sound like the JCM 800 but rather to the JTM45 that we look for those who have already played on these great old amps must reach heights of decibels to ring so that here it is now. Channel 2 Green Mode found some sound mode except for a red channel with the strongest gain was the sound AC / DC without worry, especially with the grain immediately recognizable, not copy or likeness that's it! Orange the best mode of the head, there was the history of rock on a channel, just turn the volume or gain to the Van Halen, Iron Maiden and all we have heard in years 80 / 90. The great Marshall distortion is there and it hurts so much is good, there must be strong enough to make it sound but with 50 watts while bathing is accurate and it does not dégeule. Finally the last mode where it burns red, ideal for solos in fact, difficult to master even if the margin is correct feedback. It's good for the trash with équalo well cut can be made without forcing the bulk metal. I tried with a BC Rich granted Do I have to have some Kerry King in my basement! 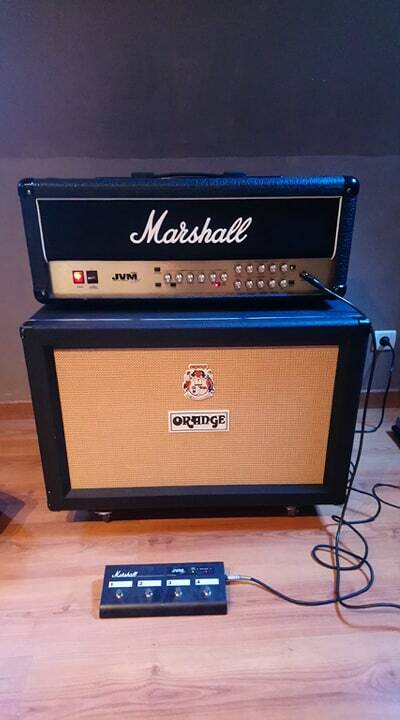 Here I have this head with a 4x12 AV 160 with Celestion Vintage 30 for 15 days and I am very happy. I have a Gibson Les Paul and a Jackson Soloist Archtop someone lent me a stratum for listening! In addition the head is not cheap (except in France!) Bought 760 euros in England (live strong euro!). Thank you because with the Marshall JCM 2000 was not! The configuration is simple, we rule, we play, we did not spend his time on set or on the record. To navigate between the modes of the 2 channels, you can do so either on the front panel or by footswitch, simply press the Mode button to switch to green to orange then red then back to AC Green. The clean is much hotter than j'pensais especially with an LP, personally, I play a Gibson Slash on Appetite and this amp is a real happiness, no harm to find the sounds of guns but also AC / DC & cie. But I did not buy the base for AC so I would not put it in negative point. I use it recently but I am very happy even if a few little details bother me as the parallel loop can not be activated while the footswitch for the serial loop is possible, presets which take into account that the buttons and knobs not, but I finally found the sound I wanted, what marshall sound! 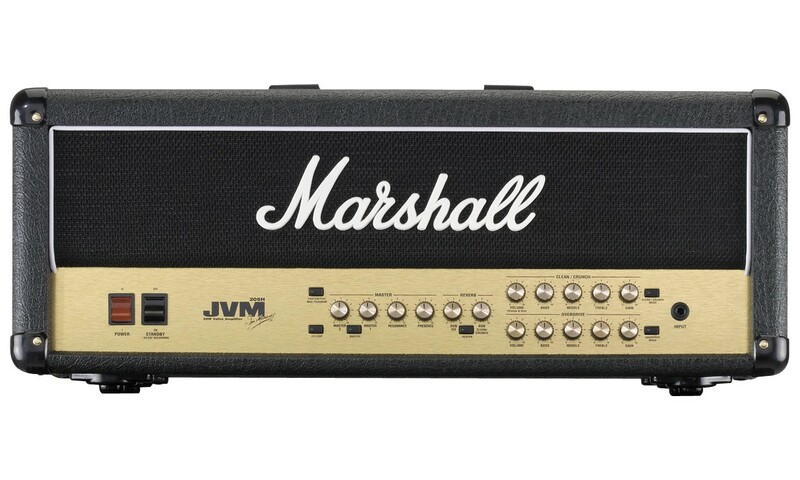 Marshall introduces its new JVM2 series, including the 50-watts head JVM 205H.